Easy Dinner: Split Pea Soup, Weekly Menu Plan. This may or may not be your idea of Split Pea Soup. Some like it puréed, with mainly peas, other, like me, prefer it chunky, with more ingredients. 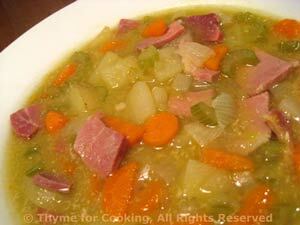 The split peas break down and make it thick and I like the of chunks ham, potatoes, carrots and celery. 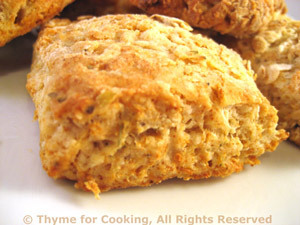 This makes enough for 4 servings - 2 for the freezer.